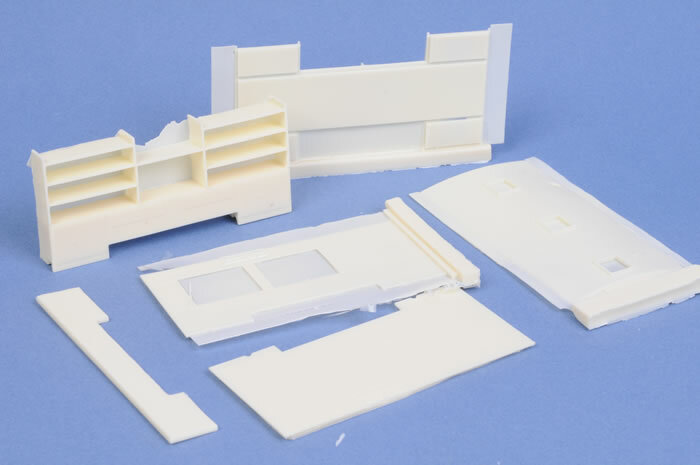 CMK has released a very versatile 1/48 scale conversion that will appeal to both armour and aircraft modellers - a GMC 353 Clubmobile. 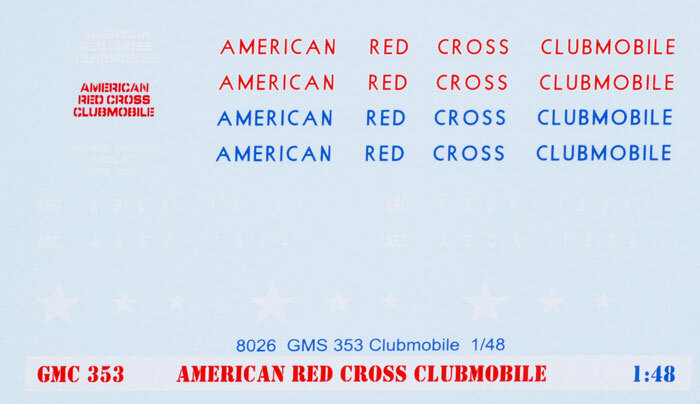 These vehicles were operated in England and continental Europe by the American Red Cross for Allied ground and air forces. 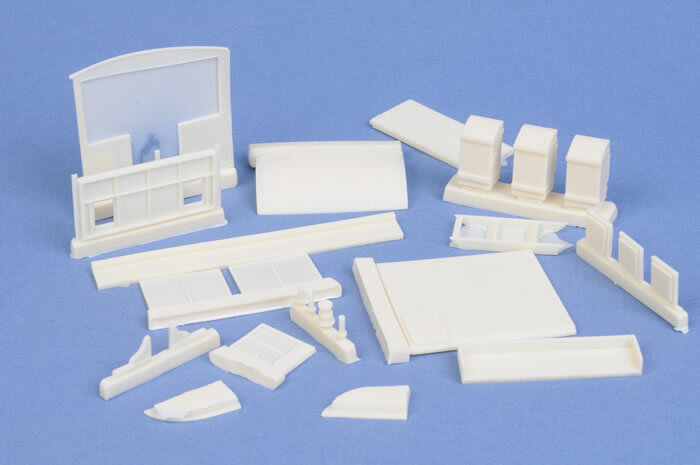 CMK's 1/48 scale Clubmobile conversion comprises 30 parts in pale cream coloured resin, one photo-etched fret, a clear acetate sheet to form two windows, and two marking options. 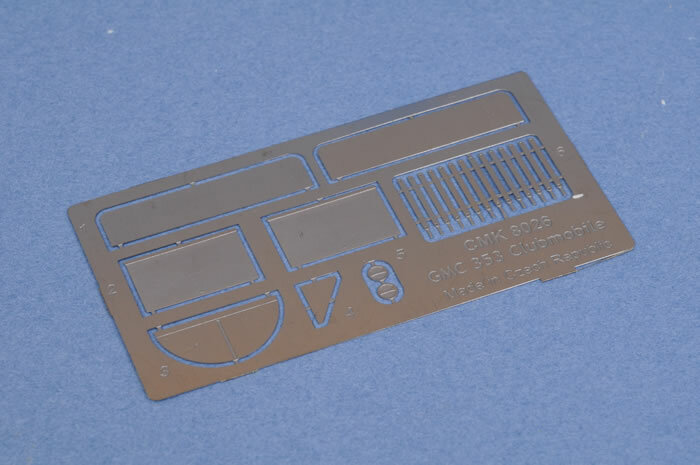 It has been designed to be used on Tamiya's GMC 2.5 ton truck. The resin is perfectly cast. Although a few of the larger parts appear slightly warped straight out of the box, assembling them should restore their original shape without any further surgery required. There is some fine flash that will be quickly cleaned up too. 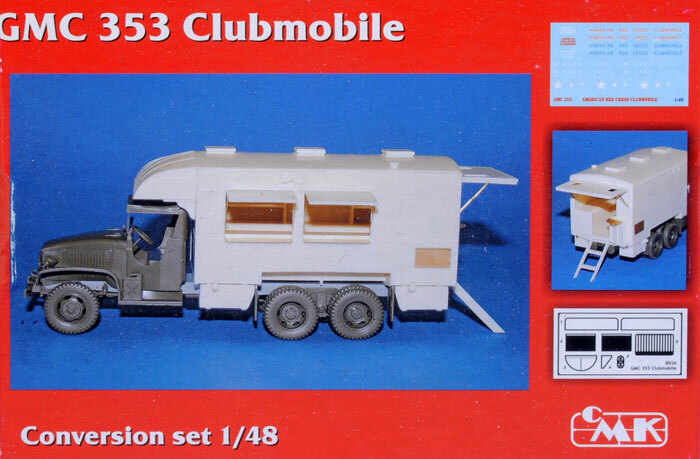 The Clubmobile cabin is basically a box, so construction should be straightforward. Interior detail such as shelving and tables are included, and the serving doors and shutters are supplied separately, so may be posed open to display all of your hard work inside. Two marking options are offered on the decal sheet. The first has red lettering over the ubiquitous Olive Drab colour scheme. The second option is a welcome relief from the usual, being finished in overall Blue Grey with Blue lettering. The decals are printed in good register, and appear to be quite thin. A folded A4 page supplies the parts list and assembly instructions via exploded view diagrams. CMK's GMC 353 Clubmobile is an original and interesting conversion that will look great as a standalone model, or as part of a diorama.